10 years of the iPhone – How has it revolutionised the world? Who remembers when the very first ground breaking Apple mobile device hit the high street? Believe it or not, the release of the iPhone X marks a decade since then. My brother - always an Apple fan - will no doubt be salivating at the latest model. The new gadget is eye catching and features a 5.8-inch Super Retina screen which stretches right to the very corners of the device. Face ID gives a whole new meaning to security and the dual 12MP cameras ensure high quality snaps wherever you might be. Torro Cases, designers of the stylish, genuine leather iPhone case, are aiming to celebrate ten years of the iPhone by looking at how Apple's devices have forever changed the way we perceive mobile phones. The fact that 51.3% of all pages were loaded on mobile devices not only represented a huge increase from the less than 5% that were loaded as recently as 2010, but also showed that this was the first time that they had surpassed the corresponding figures recorded on desktop and laptop computers. This research also came soon after Google had announced that searches on mobiles had overtaken those carried out on desktop. Helping to make the internet something that we could access whilst on the go was the iPhone. Steve Jobs said as much when he first unveiled the original iPhone and described it as a “breakthrough Internet communications device”. Rewind back a few years and the list of things you'd have needed to pack if heading away, even if just for a day, would have been quite different from now. If we'd have wanted to capture great photos to keep memories of our experiences, we’d have needed to take an actual camera with us. And if we'd have wanted to listen to music for entertainment on the go? It would have been an iPod or mp3 player. Or go back a tad further and it would probably have been a trusty Walkman. I still have mine somewhere gathering dust. If you weren't so sure of how to get to a destination? Then we had to make sure we didn’t leave home without our trusty sat-nav. Before we knew it, we would have been carrying around a small collection of gadgets just to make the most of our adventures. Thankfully, Not anymore though, market research firm, KeyPoint Intelligence, found that 85% of digital photos are now taken on a phone - compared to 50% in 2011 - while GPS can now be used on our devices to lead us from our current spot to wherever we’d like to go. 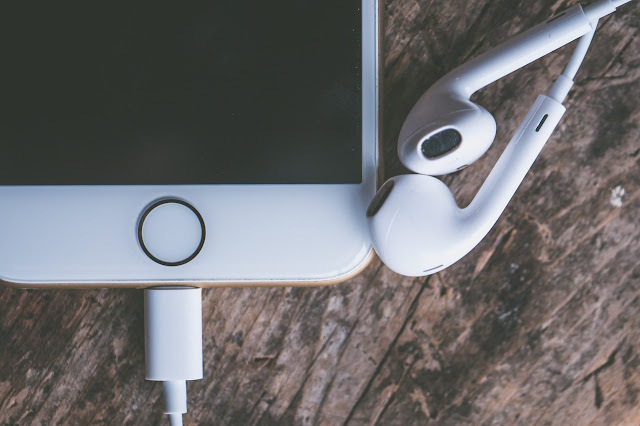 And when it comes to music, our favourite songs can either be downloaded to our devices or streamed through apps like Spotify and Apple Music. Hurrah for the iPhone! Whilst we're on the topic of our phones being used to take photos, can you now imagine not having a phone with a front-facing camera? These features first began appearing on mobile devices back in 2003, with the iPhone 4 being the first of Apple’s smartphones to introduce them. Many believed that these cameras would be used primarily for video calls, but it wasn’t long before people started to snap self-portraits and the selfie trend quickly took hold. Selfies have proven beneficial across many markets. For example, the popularity of the cosmetics industry (it was the top-performing category in UK health and beauty, with sales up £100m from 2015-2017) is suggested to be the result of YouTube tutorials and the desire to share selfies on social media apps. I myself love a good makeup tutorial. GPS is a standard feature on most mobile devices already, but the likes of Google Maps and Apple Maps offer so much more to iPhone users while they’re on the go. As of 2016, there was reportedly more than five billion searches or requests on Apple Maps each week. Each user gets access to features such as proactive suggestions (which sees the system predicting the places where people are most likely to go), up-to-date public transport information, and detailed indoor maps of a wide variety of airport terminals and shopping centres covering locations across the globe. With Google Maps, one of the most intriguing aspects was announced in 2016 when it was revealed that users would have the opportunity to become the system’s editors. As a result, they can suggest new places or edit names of places to make them more accurate - improving the overall system of maps. At one time, not that long ago, we'd have had to make do with what came pre loaded onto our newly purchased mobile devices. Then came the arrival of the App Store, originally on the iPhone 3G in 2008, when owners could originally boost their devices by downloading up to 500 additional apps. Today, the App Store is home to more than two million apps. People spent around £23 billion within the virtual market in 2016 alone, downloading everything from social media apps and photo editing software to games, health and fitness hubs, and TV and movie streaming services. Candy Crush anyone? Another app that deserves a mention in it's own section is Apple Pay, as the mobile payments platform has transformed how we pay for goods and services on the go. Launched in October 2014 while people were getting to grips with the iPhone 6, the app works by linking one of Apple’s smartphones up to a compatible debit or credit card account and then allowing people to make contactless payments by simply scanning their device across a payment terminal installed with NFC technology. As of 2016, there were over 12 million monthly users of Apply Pay covering 15 countries, with transactions increasing by 500% between 2015 and 2016. Over the years the iPhone has changed the way we use the internet, the way we take photos, get travel tips, stay entertained, and even pay for goods while we’re out and about. However, Apple’s gadgets have also changed the way that we use one of a mobile phone’s most basic features, and that's communicating with others. The wonderful world of WhatsApp means that we can now message any one of our friends or family via the internet no matter where we are in the world and at no cost. At one time there would have been charge for simply getting in touch with someone from another country. Video calling is also easily accessible to all through FaceTime too, while the iPhone’s threaded message interface allowed us to see all messages on just the single screen instead of having to come out of a text and open others just to keep track of a conversation. I think it's fair to say that the iPhone has a lot to answer for. Both we, and mobile phones have come a long, long way.